The time has finally come where the nights are getting crisper and the threat of frost is upon most of us in zone 7. While the fall foliage is beautiful, it marks the end of many outdoor gardening tasks until spring thaws the ground again. Before you begin to panic and go harvesting your herbs for drying and freezing, consider transplanting them for indoor use to enjoy fresh flavors all winter long. While we definitely recommend preserving your herbs so as not to waste their taste, many of your plants can easily be transitioned indoors and kept happily throughout the cold winter months. Keeping your herbs indoors will ensure a wealth of fresh flavor and natural aroma for all of your hearty winter dishes, holiday meals and hot teas. 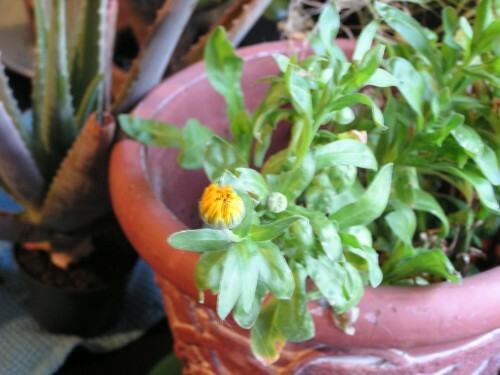 Keeping your plants indoors will also promise to cheer you up through the winter doldrums and keep your home smelling green and clean without the toxic effects of synthetic air fresheners. Plants like Rosemary, Bay, Lavender and Lemon Verbena will pot very easily and do well over the winter, as do most culinary herbs. For plants that go dormant during this time of year like Mints (they tend to get leggy), you may need to enhance the lighting in your home with grow lights to encourage the plants out of their natural cycle. 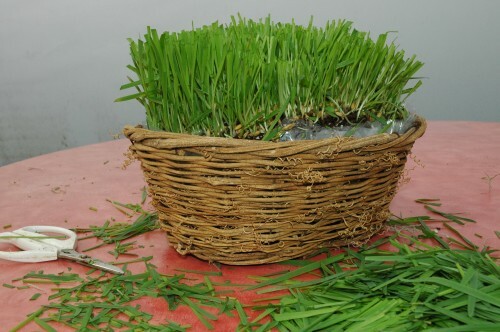 Herbs need approximately 14 hours of light a day, and about 6-8 hours of direct sunlight to maintain healthy growth. As you’re considering which herbs to bring in, make sure you also consider proper indoor locations for your plants. Southern facing windows will get the most amount of light daily, and as the days grow shorter moving into winter, make sure to accommodate for the waning sunlight by rotating your plants and substituting with alternative light sources. A few weeks before your area gets its first hard freeze of the year, it’s best to transplant your desired herbs into pots for the winter. 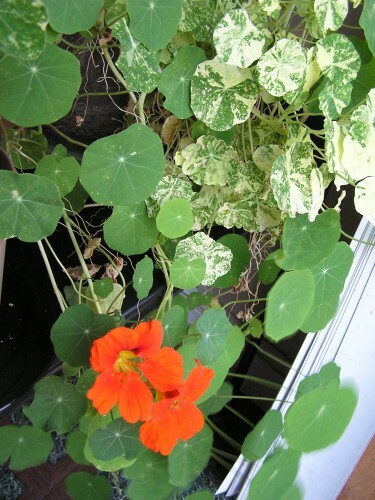 Choose only the healthiest plants, leaving any wilted, broken or feeble plants for the compost pile. 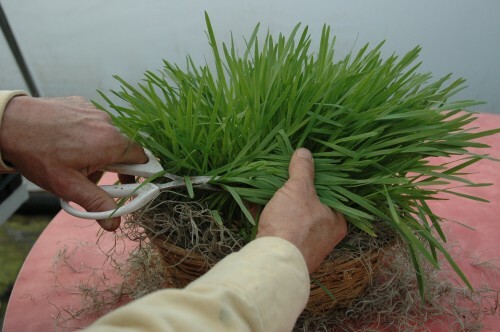 Dig your plants carefully, and try to extract the entire root system. Once your plants are removed from the ground, pot them into new containers with new potting soil to prevent spreading any disease. Make sure to pot them in deep pots and leave them outside for a few days to acclimate to their new environments before bringing them inside. Once your plants have recovered and have been moved inside, make sure to not only choose a sunny location, but also consider the temperature and humidity in the area they are placed. For example, you wouldn’t want to place your plants on the mantle of your fireplace that you enjoy using, as they will dry out quickly, just as you don’t want to place them near a drafty door as they may get too cold. Monitor their needs for a while to see if they need more or less water and pay attention to their color and growth. Typically herbs don’t need a lot of water, and you can maintain this by sticking your finger about a half inch into the soil to test for moisture. 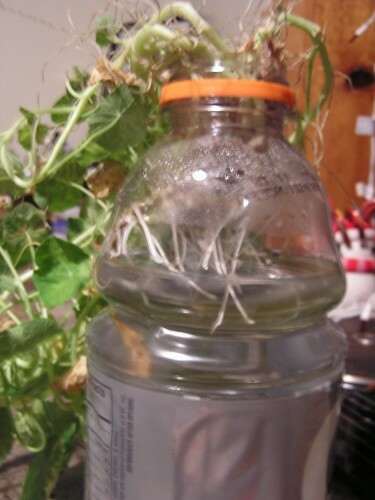 As long as the temperature in the room does not go below 50 degrees your plants should be warm enough to keep growing. 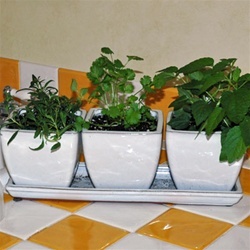 For more information and some tips on growing herbs indoors, see our article Growing Herbs Indoors. I know I say this with many herbs, but Lemon Verbena has to be one of my absolute favorites. 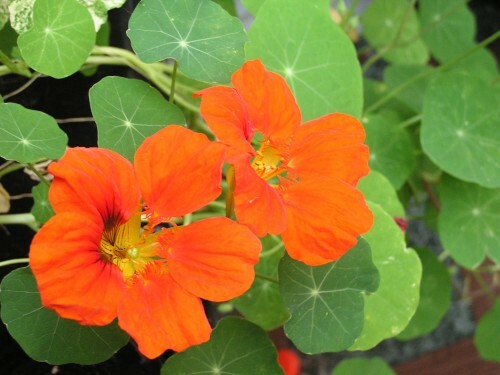 It is easy to grow and maintain, loves living in a pot on the windowsill, and smells delightful! Lemon Verbena has a wonderful lemon flavor with no bitterness– nature’s lemon candy. Try adding a few leaves to your next cup of tea, or steep a few leaves in milk to be used in pudding or ice cream. Lemon Verbena likes warm, sunny conditions and well-drained soil. If kept warm inside all year, lemon verbena is an evergreen perennial; if exposed to frost, it is deciduous. Do not over-water, and prune in the fall for a bushier plant in the spring. 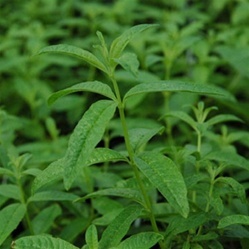 As previously stated, Lemon Verbena’s lovely medium-green leaves give off a light lemony scent. Before guests arrive I make sure to shake and brush the leaves around a bit, to stimulate the essential oils and really release the natural aroma of my indoor verbenas. 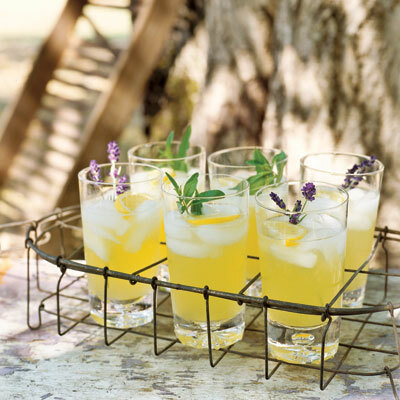 Guests love it, especially on cold winter nights when we’re dreaming of summer lemonade and sunshine.. And might I add how much healthier it is to have fresh, all-natural, sweet-smelling herbs and flowers in your house, rather than scented candles and air fresheners? Scented candles are one of the most popular house-hold carcinogens. Plants, on the other hand, detoxify your home! One common problem associated with Lemon Verbena is spider mites. They love the underside of the leaves. Keep an eye out for these little buggers, and if you do have a problem pick up a mild non-toxic insecticide at your favorite store. You can also companion plant herbs that are natural insecticides, like Rue, Pyrethrum and Tansy nearby to help discourage unwanted pests! 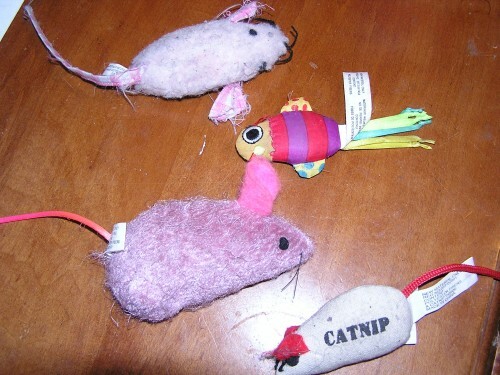 Tons of cat toys are packed with Catnip to perk your cat's interest! Looking for a great all natural way to treat your favorite feline? Try Catnip! Often found packed into the plush insides of a cute little toy or sold in dried form at local pet stores, Catnip makes most cats pretty crazy. Over eighty percent of cats are affected by the chemical component Nepetalactone, which is found in the essential oils of this perennial herb. A combination of genetics and age determine whether your felines will fiend for Catnip, as studies show that kittens don’t seem to respond until around the age of three months. Though not explored extensively, there are many cases of dogs and even some bears who find the scent of “nip” irresistible. Reactions range from sleeping and drooling, to frantically pouncing and running around, and cats seem to also experience heightened tactile sensations which may include being rubbed on their face, petted or brushed to excess. Our Media Director's cat, Sophie, eating dried Catnip. She likes the fresh stuff better! Also known as an excellent natural insect repellent, the essential oils are often found in many DEET-free bug sprays. 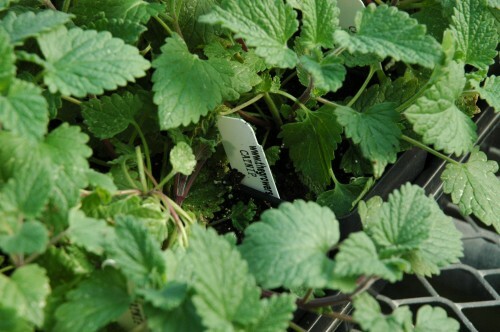 If making your own concoction to deter pests, try using Lemon Catnip for a fragrant citrus aroma. Catnip also has a history as a medicinal herb for its sedative properties and makes a soothing tea to help you relax, much like Valerian, an herb known to mellow you out and known commonly as “the poor man’s Valium”. Slightly numbing, Catnip is also reputed to strengthen immunities to fend off colds, fevers and the flu, and also calms an upset stomach. Growing fresh Catnip for your kitties isn’t just fun and games. The vitamins and nutrients they get from eating the raw plant is great for their bodies, and the plant itself can help cause any indigestion which may result from some store-bought foods. Our Catnip is all natural and because we don't use harsh chemicals, it's purrrrrfectly healthy for your cat! If you plan to grow Catnip for your cats indoors, you may want to plant two pots, one to keep out of their reach outdoors, and one for them to enjoy inside, but make sure to swap them occasionally so they don’t completely attack the indoor pot! If you’re growing it outdoors, be aware that neighborhood cats may be flocking to your garden. 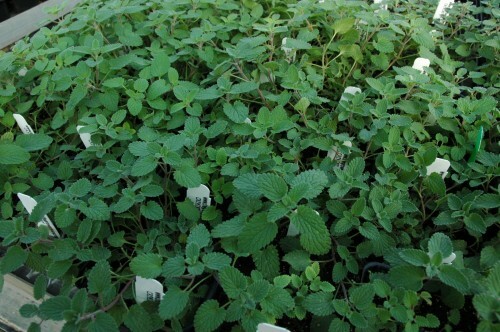 To prevent their frantic frolicking from interfering with other, more tender plants that may be growing nearby, either plant your catnip in a well-drained, separate area of its own, or build a fence around your garden. 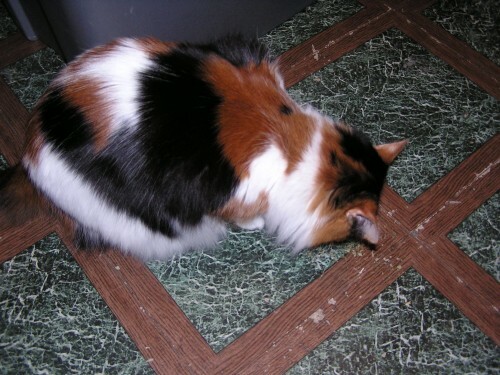 (If you have problems with container-planted Catnip, try placing it in a large, metal bird cage or dog kennel, where the kitties can’t plow through it all and destroy your plant.) If you want to really encourage your cats to love you more, try planting Catmint, Lemon Catnip and Valerian in your garden. All three of these great herbs are kitty-friendly, human-friendly and make a really calming tea. Treat your cats the natural way and grow them a garden full of treats! Catmint is another great herb to get your felines frisky!